Do you have a little bookworm in the making? Books provide some of the most magical adventures for children, even those who may not be reading full sentences on their own yet. 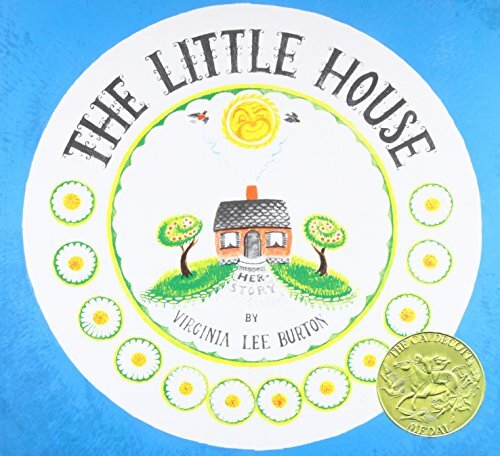 When it comes to children’s books and preschoolers, there’s no shortage of titles available. We’re going to help you narrow things down and show you our favorite reads and best books for 4-year-olds. When kids are young, they’re in their prime for developing cognitive abilities through reading. Despite this, the American Academy of Pediatrics says that one in three American children start school without the beginner literary skills needed for learning to read (source). If you want your child to have a leg up on literacy before they enter kindergarten, encouraging a passion for reading is a must. By the time your child turns 4, they should approach things curiously and will probably have an expansive vocabulary. They may be able to recognize most letters and, in some cases, write their name (source). We know reading has everlasting benefits for children, but what if you don’t consider yourself an “active” reader? Maybe you feel like you’re completely monotone during storytime and you can see that your child isn’t enjoying it as much as they could. Before opening the story, read off the title and the author’s name while simultaneously pointing at the words. Your child may not be able to read yet, but pointing to these will show them that the title and who created the book is important. Throughout the story, it’s beneficial to pause every now and again to ask questions about the things they see, and so on. If you’re reading a story about a sad hippo, you can ask your child how they think the hippo feels and why the hippo may feel that way. Doing this will aid in comprehension and help your child search for the deeper meanings to things. Before reading any books with my child, I always like to read or skim through them first. By doing this, it makes it easier to read with the thoughts and feelings of the storybook characters in mind. This will also give you a chance to decide how you want to go about explaining new vocabulary words or other questions that may arise from reading the book. There are several things to keep in mind when you’re on the hunt for books. At this age, your child has surely started displaying their interests and personality, which will help along the way. You’ll want to stick to what your child is interested in. If your 4-year-old loves robots and outer space, then finding a book about one of these will blow their mind. But if you get them something they aren’t a fan of, you’ve wasted your resources. Kids this age live for vibrancy and silliness. Finding a children’s book with lots of bright pictures and fun illustrations will really help in keeping their attention during storytime. This will also help develop their imagination and is an introduction to the use of context clues, which they’ll learn once they enter elementary school. There are so many children’s books on the market, it’s easy to feel intimidated. Hopefully, we can make it a little easier for you with our top 10 favorite books for 4-year-olds. 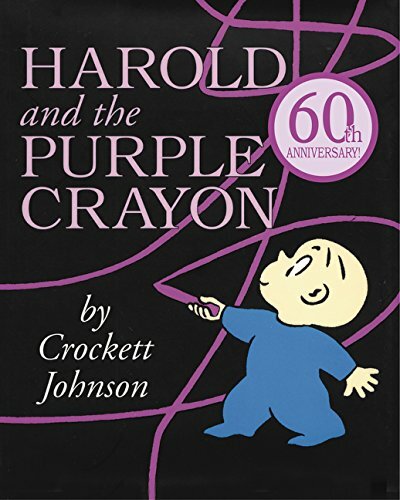 Your preschooler will love going on a journey with Harold and his purple crayon, as they work together to figure out how to get Harold back home to his bed. This title is great because it helps foster your child’s imagination and creativity. A bonus is that there are more Harold stories out there. If you choose this one and your child ends up loving it, you can hop back online and order some more adventures for you and your child to share. Mr. Fish is not a happy guy. He swims about spreading his dreary mood to all the other fish and they’ve had enough. He doesn’t think he can do anything about it, so he just goes on, but will there be someone who can change his mind? This one made our list for its use of silly rhyme to make the reader laugh. The fun illustrations of all the ocean characters are also nice for capturing the eye of your child. Mr. Fish is a tried and true hit for bedtime as well. 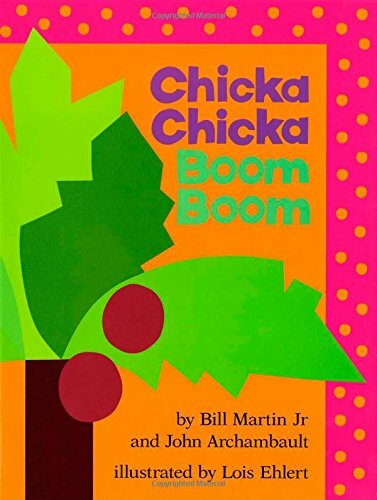 This title is one of our favorites because it uses rhyme and happy illustrations to keep a young child’s attention. It’s also a good example of a story that can open up a dialogue about what the world has to offer. The story basically encourages children to dream big and actively follow what they’re passionate about. It’s an endearing one for us because it displays how we, as parents, see our children and how we want the world for them. 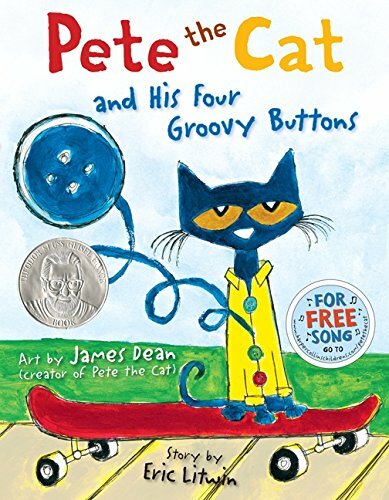 Pete’s groovy buttons tend to pop off constantly, so Pete decides to sing about it. We like this title because it’s one in a whole series of books about the adventures and activities of Pete, and it’s a major hit with the preschool crowd. 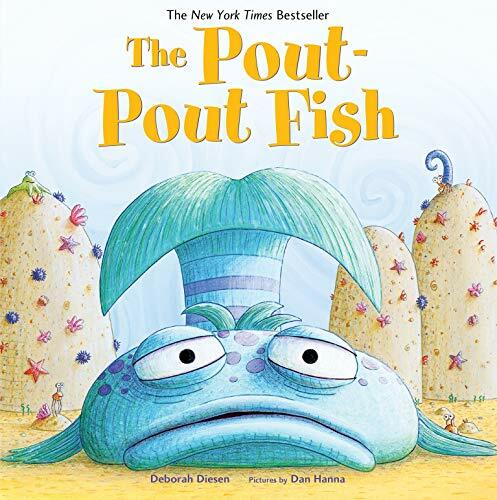 This story helps with early counting skills and keeps the interest of the reader with fun illustrations and a goofy storyline. This book makes the perfect gift for your budding reader. 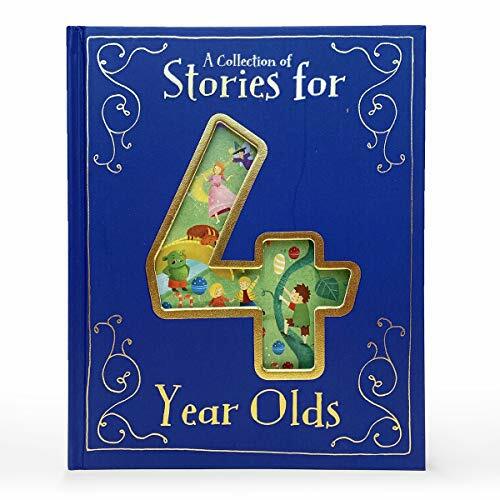 It comes with 10 classic fairy tales with enchanting illustrations and easy-to-read pages, suitable for introducing your child to early reading. In this treasury, you can introduce your child to “The Ugly Duckling,” “Jack and the Beanstalk,” and other classic tales. While they may not be avid readers yet, using stories with simple words and sentences is useful for encouraging them to start trying. Here we follow the story of a modest house in the countryside and how it stays standing through the trials of time. We see its surroundings morph from the quiet countryside to a loud and busy city. At first, the house loves seeing the city, but eventually, it misses the countryside and longs to go back. This is a classic that all children should have on their bookshelf. We like this book because it gives readers the opportunity to practice comparing the city and country and allows for lots of open-ended questions during storytime. In this story, the letters of the alphabet all take turns climbing up a coconut tree. As each letter piles on, they worry if there will be enough room for everybody. This book is cool because it’s repetitive and it goes through the alphabet using a fun storyline. If you want to work on letters with your 4-year-old, this is a great classic to invest in. 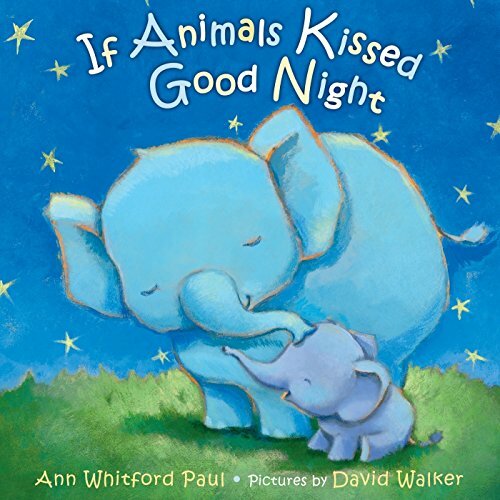 This is a whimsical story about how different animals kiss their parents goodnight. Peacock and chick kiss with a kickity high-stepping prance, and you’ll find many other creative kisses. It’s interactive, super cute, and the easy-to-read rhymes can be mimicked as you go. If you have an active child, this may be a good option for a bedtime read. If you want to gently introduce your preschooler to phonics, this is a fantastic box set to invest in. 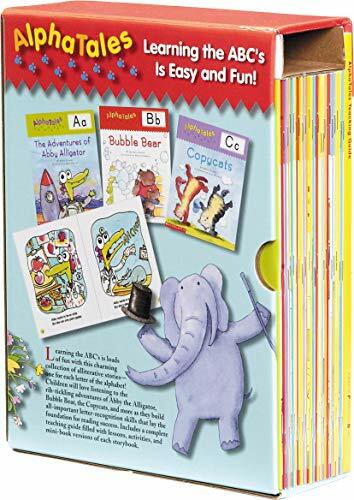 It comes with 26 stories (one for each letter of the alphabet) as well as exciting activities and poems at the end of each book. There’s also a teaching guide to help you out with the process. Keep in mind that this set is recommended for children starting preschool and up until the first grade, so it will grow with your child as they develop. 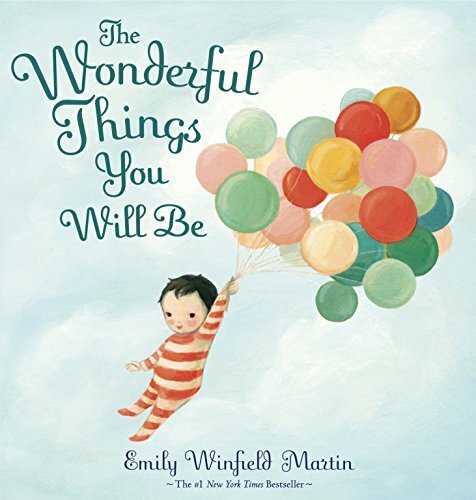 If you’re looking for something that will encourage your 4-year-old to use their imagination, this title is perfect. The story follows a little mouse in the woods who is trying to avoid being eaten by all the other animals. 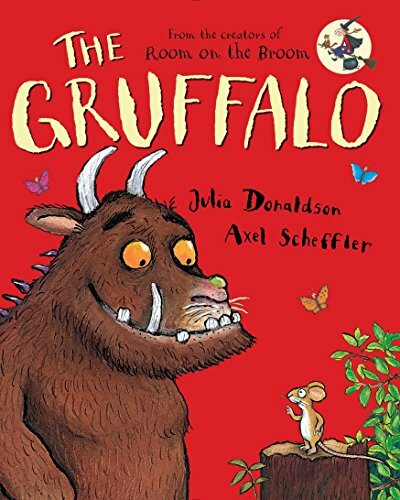 He invents a monster called the “Gruffalo,” hoping to scare them off. We like this one for its use of creativity in problem-solving, which may encourage your little one to do the same. It’s also a good book for preschoolers for its use of rhyme. As you can see, there really is an abundance of options for your preschooler to choose from. 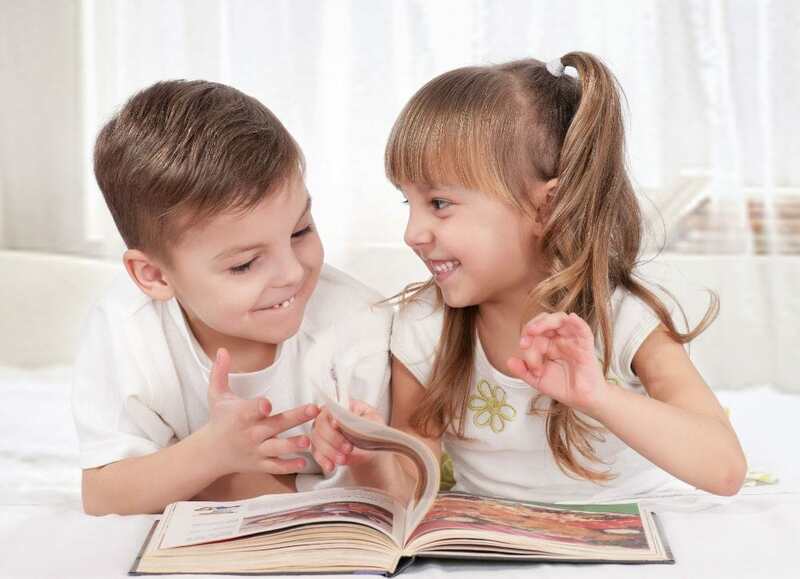 By reading interactively together at home, your child will begin to look forward to reading independently. Before buying, make sure to glimpse at the content and gauge whether it’s appropriate for your 4-year-old or not. Our favorite is Harold and the Purple Crayon. We love Harold for his expansive imagination and ability to keep kids interested with nothing but his creativity and a large purple crayon. Have you read any of the titles on our list? What are your thoughts? We want to know in the comments below!